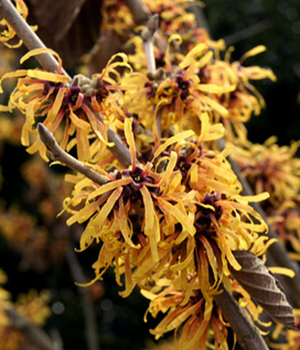 Did you know that the Arboretum has fabulous color and fragrance even in the middle of winter? 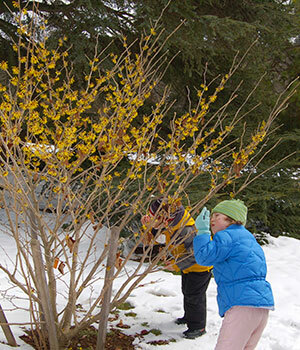 Head over to the Arboretum this winter for a month of fun and exploration. 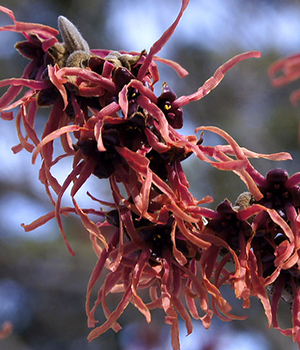 Follow the scavenger hunt to discover the many varieties of witchhazels (Hamamelis) growing at the Arboretum. 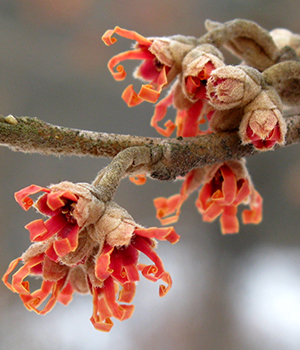 Ranging in color from yellow and orange to pink and red, witchhazels are some of the first harbingers of spring. Compare their beautiful flowers and take in their heady scent. 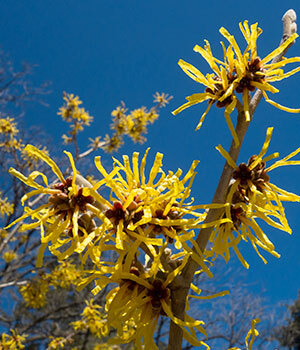 Witchhazels are large shrubs which can reach from 6–12 feet wide and 10–20 feet high or more. Bloom sizes range from ½ inch across to 1½ inches on the other species and cultivars. Hues range from reds to oranges to yellows, with some flowers bicolored. 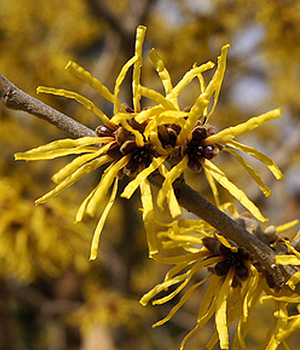 Some varieties have no fragrance; others have spicy or citrusy scents, especially evident on sunny winter days. It's recommended to sniff the flowers with your mouth open to catch all the complexities of the scent. 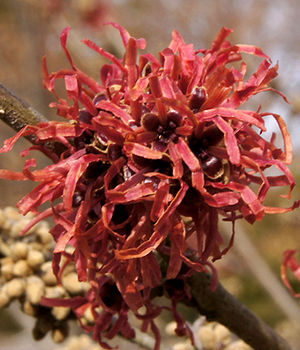 American witchhazel (H. virginiana) is the source of witchhazel extract, first distilled by Native Americans and still used to treat a variety of ailments, including cuts and bruises, swelling, and sore eyes. H. virginiana blooms in autumn. 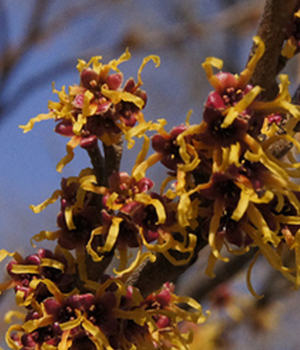 Because American witchhazel looked like English hazel—the European plant of choice for water witches, those folks who use divining rods to search for underground water sources—early settlers in the American colonies used forked twigs of H. virginiana for this purpose, giving the genus its common name. Maps are also available at the Visitor Center.